Industry advancements and innovations in the glass industry took center stage at Glasstec 2018, the world’s leading tradeshow for equipment and services for glass production. The event, that celebrated its 25th anniversary, welcomed in four days about 42,000 visitors from all over the world, with an increased attendance trend compared to the previous edition. 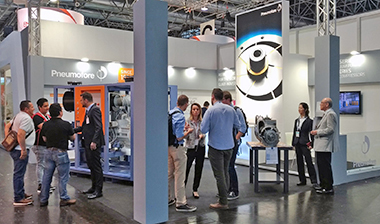 As a leading supplier of centralized vacuum and compressed air systems and a traditional exhibitor at Glasstec, Pneumofore presented itself with a new booth concept, designed to highlight the benefits of the company’s Rotary Vane technology and tailored solutions for the glass industry. Spotlights were on the UV50 vacuum pump - here presented in its Variable Speed version - which raised great interest from visitors. This unit is one of the most popular vacuum pump in worldwide glassworks, appreciated for its constant performance over time and high energy savings on the long-run. The response from the fair has been consistently positive, with high-level conversations with both new and consolidated customers, which make us looking very positively into 2019. Gastech, one of the world’s most important conference and exhibition for the gas, LNG end energy industries, welcomes for the first time Pneumofore vacuum and compressed air and gas solutions. 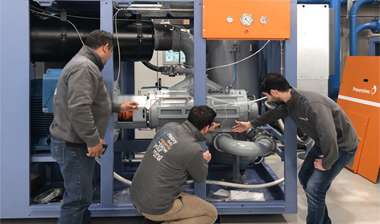 The company will present its latest innovations for the global energy sector which include transportable air-cooled vacuum systems for pipeline drying, compressors for gas processing and gas treatment, and vacuum systems for vapour recovery processes. Spotlights will be on the double-stage UV Series vacuum pumps with water vapour suction capability. Visitors will touch first hand a UV16 H model with roots pump, which will be presented at the tradeshow in its Variable Speed and Hot Climate version. Specially designed for pipeline drying, these vacuum pumps operate in a single-stage configuration during the initial phase, down to a pressure level of approximately 50 mbar(a). The second-stage roots pump is then activated in order to improve the ultimate vacuum level down to roughly 0,03 mbar(a) until the final dew point. The two pump stages are ready-to-use, as they require only a power supply and single pipe connection for operation. They are assembled into a heavy-duty frame that can easily fit mobile operations on trucks, containers or vessels, both off- or on-shore. 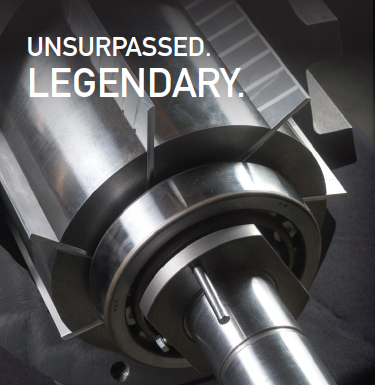 These vacuum pumps have a proven track record of achieving excellent and fast pipeline dryness compared to other drying methods. Gastech will be held from 17 to 20 September 2018 in Barcelona, Spain. Pneumofore welcomes you at Booth C106. 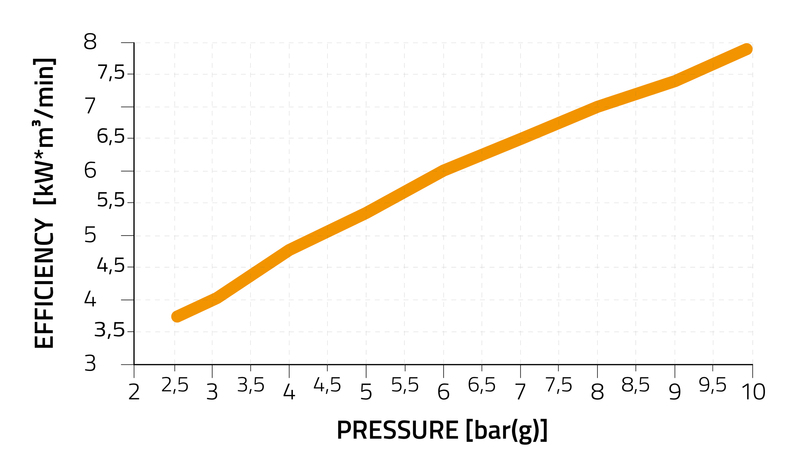 It is common practice to compress the air up to 8 bar(g) or more, even when the required pressure is much lower, for instance 3.5 bar(g) which is less than half of the initial pressure. In such frequent cases, a considerable amount of energy gets lost. In order to optimize the efficiency, the low pressure compressed air could be generated separately using dedicated low pressure compressors. Indeed, it is more efficient to compress the air at the exact required pressure while pressure reducers are appropriate only for little pressure differences or fractions of one bar. Pneumofore promotes the idea of low pressure loop in compressed air systems for the consistent savings achievable with this solution. The cost for the additional low pressure pipeline is normally paid off within few months. It is part of the Pneumofore offer to calculate the dimensions of the compressed air system at no cost for the customer, in order to guarantee electrical power savings in the long term. Operating from 2,5 to 10 bar(g) with a power range from 10 to 630 kW, the A Series air compressors represent a stable and economical solution for low pressure supply. 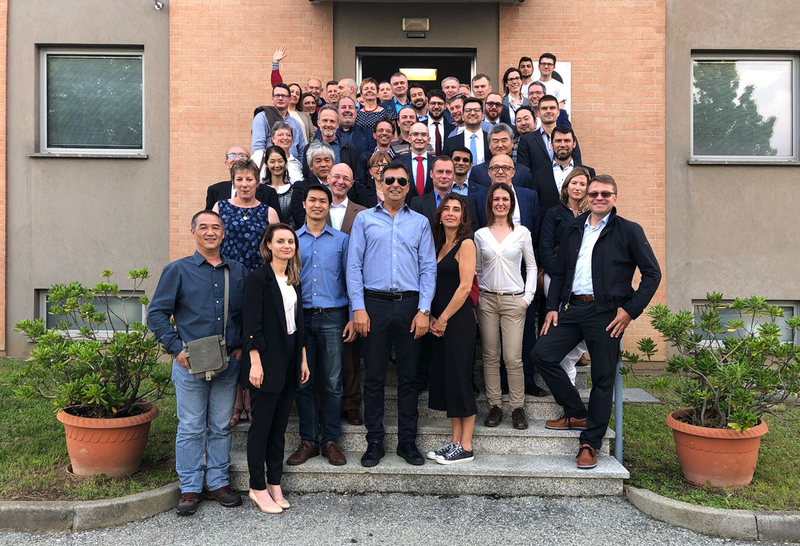 Traditionally, every two years Pneumofore welcomes in Turin its distributors and partners from all over the world to keep them up-to-date about the company, new products and new business opportunities. Additionally, this year’s Technical Meeting was also the occasion to celebrate the company’s 95 Years Anniversary. An enviable historical background which turns into an important driver of innovation for Pneumofore, always projected into the future. The Technical Meeting 2018 took place in May and was attended by distributors and partners from more than 20 countries and 3 continents. The event offered the opportunity to present and discuss about new products, such as the new UV24 vacuum pump and the K Series gas compressors, new business models and the wide range of applications of Pneumofore Rotary Vane solutions. The technical presentations were combined with product demonstrations in the production facility. Foodex is the UK's premier trade show for the food and drink processing, packaging and ingredients industry. For the first time, Pneumofore participates at the event presenting its entire range of Rotary Vane vacuum and compressed air solutions for the worldwide food industry. Spotlights will be on its centralised vacuum systems as well as its vacuum cooling offering for bakeries and food processing. The water vapour suction capabilities and the monitored vacuum level according to the production demand are ideal for the food industry and processing. In 95 years of history, Pneumofore has collected a global experience in these sectors with installations that can be found on the 5 continents, from Asia to the Americas. The company’s references embrace the entire spectrum of the industry, from food processing to bakeries, from pasta production to meat packaging and bottling. 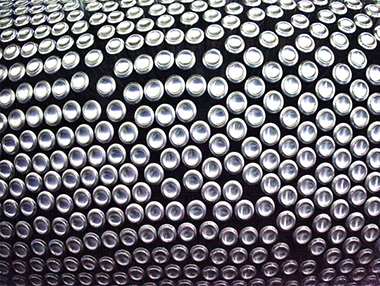 In a can factory, compressed air and vacuum account for 50% of the overall electrical power consumption. Therefore, durability, energy efficiency and constant performance over time are key parameters for the correct equipment investment that looks beyond the purchasing price. 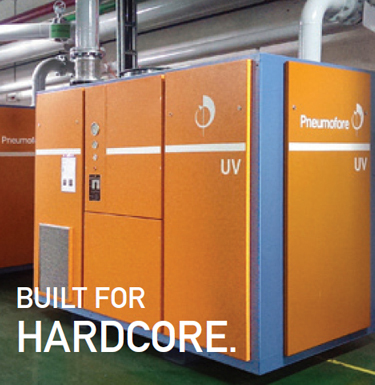 As a leading solutions provider of vacuum and compressed air systems for the 2 pcs can industry, Pneumofore is listed in the all major international conferences and tradeshows of this sector. Recently the company was welcomed as a keynote speaker at GulfCan conference, held in Dubai (UAE), and the Euro CanTech conference in Milan (Italy). Large interest has been raised by the low Life Cycle Cost of Pneumofore Rotary Vane solutions compared to high long-term costs of other technologies such as screw pumps and compressors. 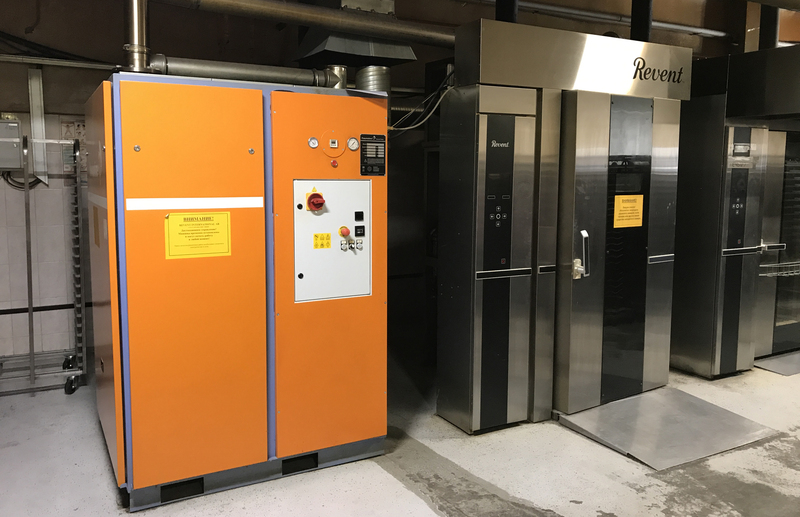 Our environmental criteria against planned obsolescence, water waste and carbon emissions have been highly appreciated, as our machines are running 24/7 for decades with air instead of water cooling and notably reduce the energy consumption. During 2018, Pneumofore will participate also at Asia CanTech that will be held from 29 to 31 October in Bangkok. StockExpo Europe, the Nr. 1 international event for specialists in the tank terminal industry held in Rotterdam from 20 to 22 March, concluded with a successful first participation for Pneumofore. The company presented its full range of vacuum and compressed air solutions for tank storage, including VRU vacuum units, gas compressors and vacuum systems for pipeline drying. 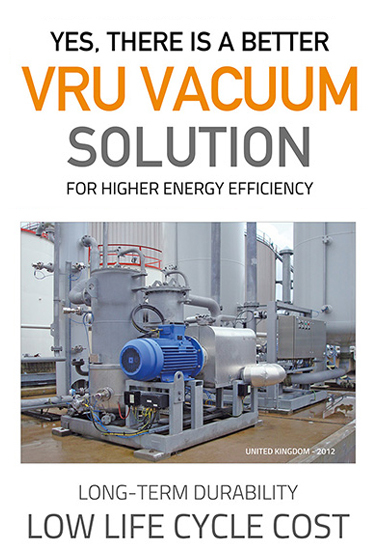 In particular, the Vapor Recovery vacuum solutions have raised the interest of visitors in search of durable and reliable equipment, able to offer constant performance and trouble-free operation even in harsh or extreme environments. 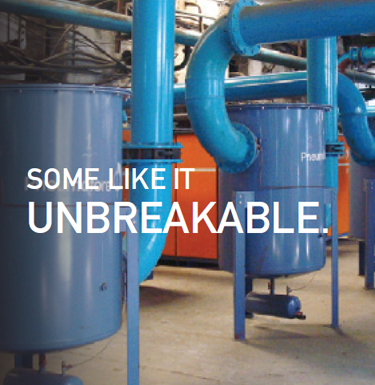 Pneumofore’s constant R&D efforts allow the full integration of its rotary vane vacuum and compressed air products in the tank terminal industrial sector and in the oil and gas industry. 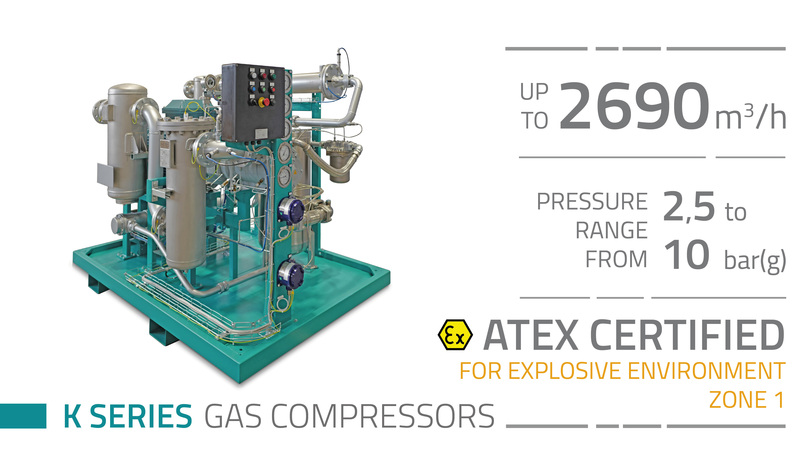 The Air-Ends are Atex certified and are successfully running in many installations, mainly in Europe and Asia, for the recovery of gasoline or specific vapors. The high technical level and quality of the contacts is motivating the company to further increase its presence in similar international exhibitions and conferences in 2018. 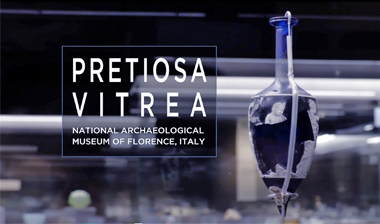 Pretiosa Vitrea, the exhibition dedicated to the evolution of glass manufacturing in history, concluded successfully at the National Archaeological Museum of Florence in Italy. Sponsored by Pneumofore, the project drew high levels of interest from both the academic world and general public, attracted by the quality and beauty of the glass artifacts on display: over 300 unique glass findings manufactured by ancient Egyptians, Etruscans, Greeks and Romans. Among the notable visits, the exhibition was honored by the presence of the Queen Mother Beatrix of the Netherlands accompanied by her entourage. Her Majesty showed great admiration for the project and the showcased artifacts. Pneumofore, strongly committed to the glass industry and cultural responsibility, financially contributed to unveil this prestigious and invaluable glass heritage. Promoted by the Sehen Foundation in collaboration with the Archaeological Museum, the exhibition was held under the patronage of the Italian Ministry of Cultural Heritage and Activities and Tourism and it is described in a content-rich catalogue (ISBN: 9788874398041). We invite you to watch the video report available on the Sehen Foundation website. As part of Pneumofore’s commitment to be closer to its worldwide customers, the company has certified a new Service Center in Latin America. Through Ontal, its exclusive local agent for Mexico, the company provides timely and comprehensive technical support, including evaluation, installation and maintenance for all its vacuum and compressed air systems operating in Central and South America. The Ontal’s technicians have been factory-trained to provide prompt response and on-site support to customers operating in varied industrial applications, from hollow glass to can production, from food packaging to tire moulding.